You have finally accepted reality. 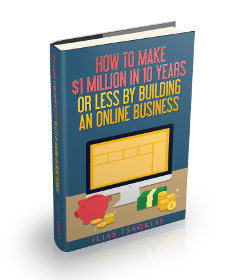 You understand that the only way to get really, really rich is by building a massive, scalable business. You recognize that the world of business has changed and you need to embrace a new way of building businesses. As with everything in life, before you embark on such a great journey, you need to educate yourself. It is time to learn. Well, look no further, because in this post, I will be sharing with you a list with some amazing books that will help you get started with your business endeavor. These books are geared towards newbie, aspiring entrepreneurs that are on their first steps in the business world. I have read all of them and they have helped me stand on my feet and grow from there. Note: I am using the descriptions from Goodreads for the books. Want to take control of your life? Want to trade in that listless job and create the company you’ve always dreamed of? Millions of new businesses are started each year, from online diamond dealers to part-time “pet projects” to the latest franchises. StartupNation is all about putting you in the driver’s seat to start your own business. Jeff and Rich Sloan are lifelong entrepreneurs who have created dozens of successful businesses and have guided and advised thousands of others through their nationally syndicated radio talk show, on their Web site, and in their weekly online newsletter. In StartupNation, the Sloan Brothers examines every aspect of smart entrepreneurship and help you create the business you’ve always dreamed of. From the ABC hit show “Shark Tank,” this book-filled with practical advice and introductions from the Sharks themselves-will be the ultimate resource for anyone thinking about starting a business or growing the one they have. Full of tips for navigating the confusing world of entrepreneurship, the book will intersperse words of wisdom with inspirational stories from the show. A new product, a new service, a new company, a new division, a new organization, a new anything—where there’s a will, here’s the way. It begins with a dream that just won’t quit, the once-in-a-lifetime thunderbolt of pure inspiration, the obsession, the world-beater, the killer app, the next big thing. Everyone who wants to make the world a better place becomes possessed by a grand idea. But what does it take to turn your idea into action? Whether you are an entrepreneur, intrapreneur, or not-for-profit crusader, there’s no shortage of advice available on issues such as writing a business plan, recruiting, raising capital, and branding. In The Art of the Start, Guy Kawasaki brings two decades of experience as one of business’s most original and irreverent strategists to offer the essential guide for anyone starting anything, from a multinational corporation to a church group. – How to outsource your life to overseas virtual assistants for $5 per hour and do whatever you want? – How blue-chip escape artists travel the world without quitting their jobs? – How to eliminate 50% of your work in 48 hours using the principles of a forgotten Italian economist? – How to trade a long-haul career for short work bursts and frequent “mini-retirements”? – What the crucial difference is between absolute and relative income? – How to train your boss to value performance over presence, or kill your job (or company) if it’s beyond repair? 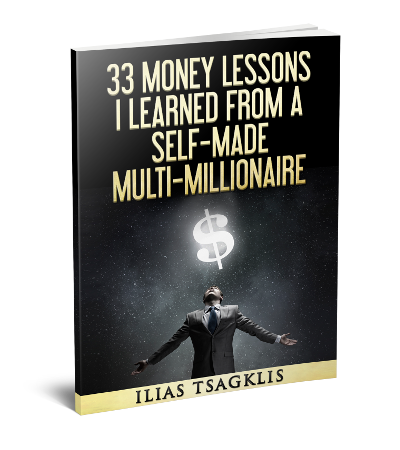 – What automated cash-flow “muses” are and how to create one in 2 to 4 weeks? – How to cultivate selective ignorance-and create time-with a low-information diet? – What the management secrets of Remote Control CEOs are? – How to get free housing worldwide and airfare at 50-80% off? All the money stress in your life suddenly vanishes? You get to fire your boss and tell him where to shove it? Take holidays whenever you want and for as long as you want? You are living in the house of your dreams, driving the car of your dreams and also have a boat and a cabin and even a plane if you want? You can afford to give your children the perfect, healthy, fun and fulfilling childhood that you always wanted to give them? 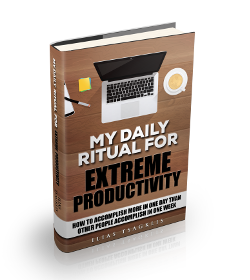 In this no-nonsense, no-holds-barred guide, international entrepreneur, best-selling author, and self-made multi-millionaire Dan Lok shows you how to live the lifestyle you really want without having to work or rely on anyone else for money. Is the financial plan of mediocrity-a dream-stealing, soul-sucking dogma known as The Slowlane-your plan for creating wealth? You know how it goes-go to school, get a good job, save 10 percent of your paycheck, buy a used car, cancel the movie channels, quit drinking expensive Starbucks mocha lattes, save and penny-pinch your life away, trust your life-savings to the stock market, and one day you can retire rich. The mainstream financial gurus have sold you blindly down the river. For those who don’t want a lifetime subscription to “settle for less,” and a slight chance of elderly riches, there is an expressway to extraordinary wealth that can burn a trail to financial independence faster than any road out there. Demand the Fastlane, an alternative road to wealth that actually ignites dreams and creates millionaires young, not old. Hit the Fastlane, crack the code to wealth, and find out how to live rich for a lifetime. MJ’s book is mandatory reading, don’t miss it! There you go! Ten incredible books to get you started. Of course there are several more amazing business books that you are going to need as you and your business grow. So stay tuned for a subsequent round-up!